Arnold B. Meshkov, MD FACC is a longtime resident of Abington Township, Pennsylvania, and a graduate of Cheltenham High School and the University of Pennsylvania. Receiving his medical degree at the University of Pennsylvania, Dr. Meshkov trained in Internal Medicine at Temple University School of Medicine and in Cardiology at the Yale University School of Medicine. He was a Professor of Medicine at Temple University School of Medicine until 2015 when he returned to private practice. He is board certified in Internal Medicine, Cardiology and Echocardiography. As a teacher, Dr. Meshkov taught several generations of medical students, Internal Medicine residents and Cardiology trainees. 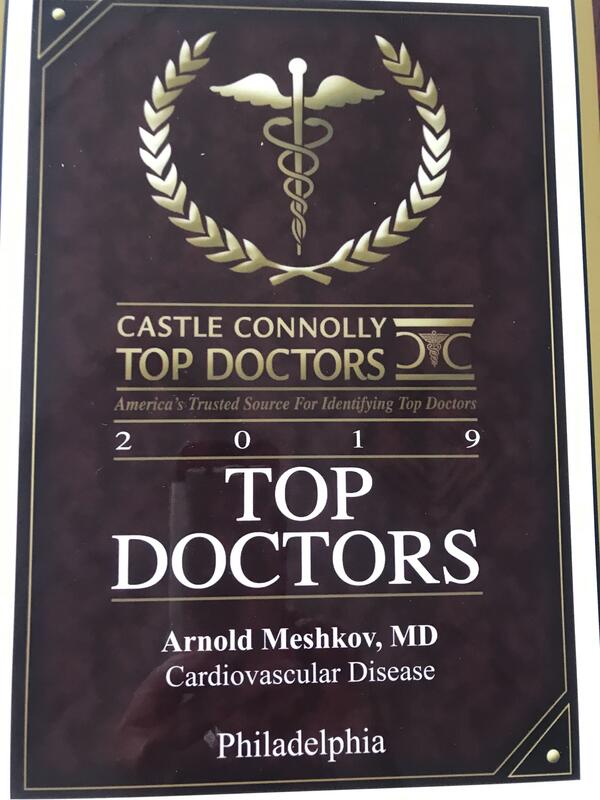 Named “Best Cardiologist” by Castle Connolly for 2012, 2013 and 2014, Dr. Meshkov frequently lectures on a broad range of topics in cardiology and bioethics, both locally and nationally. His background includes publications in major medical journals and multiple teaching honors. Dr. Meshkov served for many years as the Chairman of the Ethics Committee at Temple University Hospital and was the coordinator of Cardiology Grand Rounds, a weekly lecture series at Temple. Married to Norma Messinger Meshkov since 1970, Dr. Meshkov and his wife have two children and three grandchildren. He is the President of his synagogue, Reform Congregation Keneseth Israel, and is an avid sports fan, skier, sailor, and photographer, but his best love is being with his grandchildren. 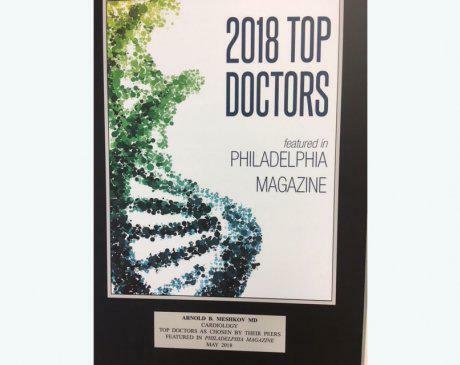 Dr. Arnold Meshkov has been selected by fellow peers as one of the 2018 Top Doctors featured in Philadelphia Magazine, and by Castle Connolly as one of the 2019 Top Doctors in Philadelphia! Echocardiograms are a crucial tool for the cardiologist to determine the size and function of the heart and the heart valves without xrays, and is completely safe, performed without the use of any injections. Using sound waves, the echocardiogram is easily and quickly performed in my office, without the need to go to a hospital.